Maxs sighed. She slowly began her story. "To start, I should tell you guys I have a twin brother. His name is Zexion. He's smart, likes to read, and will be nice to certain people. Sometimes he might ignore someone, but it is only if he's in a bad mood. He looks a lot like me. Same hair color, hairstyle, and eye color. Zexion is the older one of us. He is 5 minutes older." "A day before our 7th birthday, a strange man came to our house. He asked if he could come in our house. Zexion had said, 'Mom and Dad said not to let strangers in.' The man got sort of mad. So we closed the door and went to talk to our parents. Mom and Dad called the police, but the man broke into the house. Our parents told us to hide, so Zexion and I went to the usual hiding spot we had. But we saw something horrible happen." Maxs paused to remember what else happened. "The man had a sharp blade in his hand," she started, "no, it was a knife. He murdered my parents that day. He vanished before the police arrived. Zexion and I were taken to an orphanage. 5 days after we turned 8, Zexion got adopted. I haven't seen him since, but we still keep in touch. 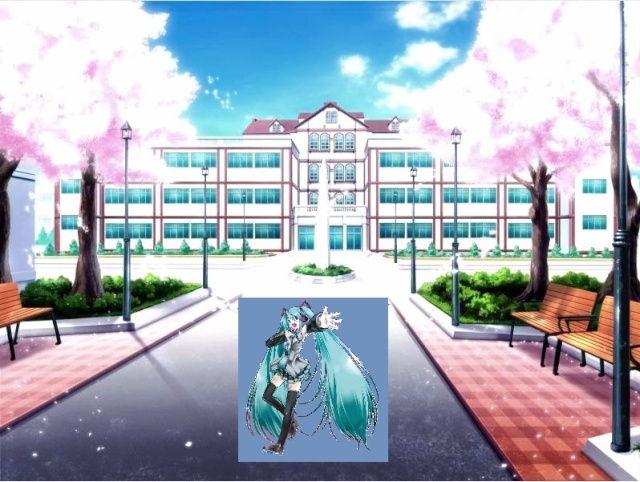 I got adopted 5 months later, by Principal Miku." Maxs sighed upset and started to wipe away her tears. "So that's my story." Nirexa sat next to Maxs to comfort her. "It's alright, at least you know you still have your twin brother. My twin sister, Xean died of the flu years ago. I miss her a lot, but sometimes it's best to let it go," she said. Eru felt bad for Maxs, but didn't really know what to say, but finally managed to say this. "At least you can still contact him. I honestly wouldn't know what I would be doing right now with Beru." She turned away at the last sentence and stared up into the sky. Mirai felt slightly uncomfortable. She had no sibling, never less a twin! She gave Maxs a small rub on her back and smiled warmly. "Eru is right," she said. Maxs nodded a little. "I guess, but I don't ever get to see him in person," she sighed. 'I wonder what he's doing right now?' she thought staring off into the distance. Nirexa glanced over at Xden and sighed. Poor boy was being bothered by a bee. Nirexa gently blew on the bee causing it to fly away. "Nothing to worry about sweetie," she said. Maxs sighed. "Let's just start the song," she said, "Since the theme is friendship, it should be something about friends." "Hmm... Friendship. That's not a bad idea." She said smiling. "Now for the lyrics." Mirai sifted her feet anxiously. She wasn't very good at coming up with lyrics. She looked at Xden, Baxcel and Ms. Seney for help. Maxs sighed and laid down. "I'm all out of ideas," she said. Eru shrugged and said, "Sorry I'm not good with lyrics." Xden sighed. "I don't know either," he said. "Songs are hard to make." "Maybe we should brainstorm first. Think of what is in friendship, then we can make lyrics," said Maxs calmly. 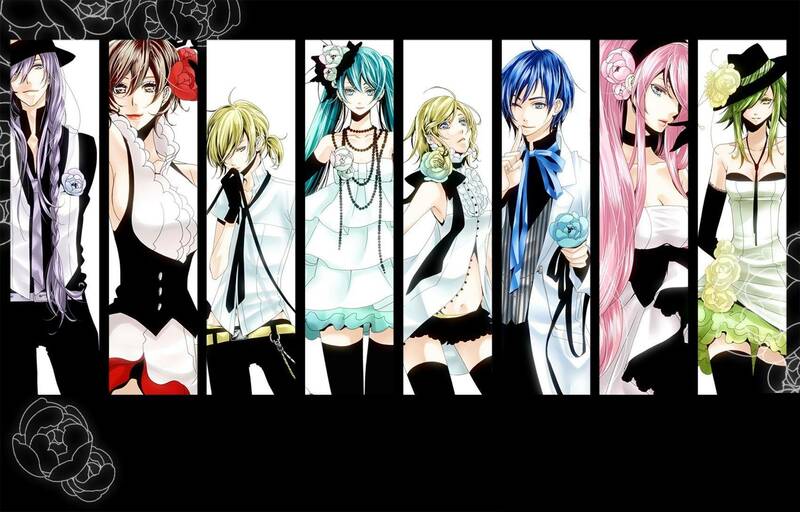 She stared at the others and smiled slightly. "Friends help each other," said Xden. He sat down rubbing his chin. "And they don't usually keep secrets from each other." "Now if only we can change them so it will find in the song." Eru liked what Xden said, she really did, but she didn't know how to change. Maxs shifted nervously when Xden said 'they don't usually keep secrets from each other.' She looked at each of her friends carefully. 'I've already been keeping secrets from them, but it's best if they don't know at all.' Maxs thought for a few seconds before speaking out loud. "Other parts of friendship are that friends are usually there when you need them. Friends are there to help you feel better because that's what friends are for," she said. "Very true," said Xden. He smiled happily. "I like having friends. Most of them are so nice!" "But not all friends can be trusted," said Nirexa, "they could just be using you!" Maxs sighed. Nirexa had a point. Not all friends were trustworthy. "Well then, it would be best if you try to get to know them more." Xden smiled. "I trust most of my friends!" he said, "I don't understand why I shouldn't." "I agree with Maxs," Mirai said, "Some people only pretend to be your friend to use you." She sighs and turns back to her notebook. "Lyrics are harder than they seem, Mirai thought dejectedly. "And if they are mean to you, you should try to find out more about them then maybe you'll understand why they're being to mean to others." She said smiling. At the same time she felt that they were moving away from making lyrics and just talking more about friends. "I wish my brother were here. He'd be able to help!" sighed Maxs. She stared at her friends and sighed. "Besides, I have to tell you guys something I should have said a while ago."